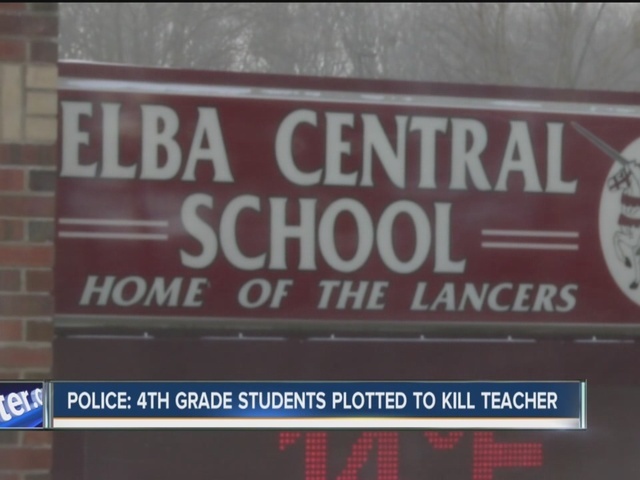 Fourth Graders Caught Plotting To Kill Their Teacher. Everyone always says it’s teenage girls you have to look out for. Well that wasn’t the case in New York, where three fourth-grade girls were accused of conspiring to kill their teacher with hand sanitizer. It may sound somewhat innocent at first, but the three elementary school girls from Elba, New York found out recently that their teacher was severely allergic to hand sanitizer and had allegedly planned to purposefully expose the teacher to the liquid to try and kill her. Luckily the plan was never carried out and being so the case has since been closed since no crime had actually been committed. Even though they aren’t facing any criminal charges, two out of the three girls were suspended from Elba Elementary School. A statement was released by the school district on Thursday in which it was said that the event was a “shock to the community.” They do say however, that the reports in the media don’t accurately portray the entire even. Even so they can’t openly discuss details due to privacy laws so we may never know all the details. All I can say is that if your in fourth grade already plotting to kill people you probably aren’t starting off at a very good point for your later adulthood. What do you think? Was it all innocent and just kids will be kids or do you think that kids that think this way at a young age can become much worse as adults? Share this article and let us know.